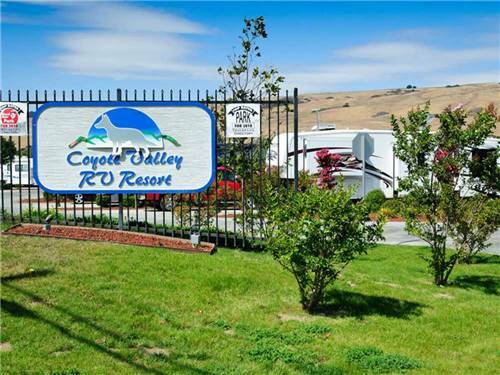 We found 13 Results for "San Jose, CA"
A magnificent valley setting with access to everything in the San Francisco Bay Area. 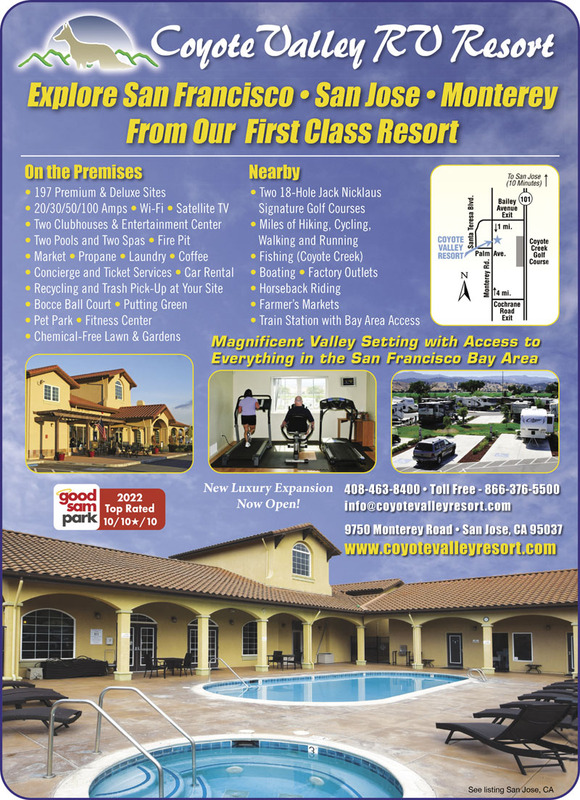 Stay in a Top Rated RV Resort with easy access to the entire Bay Area; including Silicon Valley, Monterey, Carmel & SF. Just minutes from Scotts Valley & Santa Cruz, this area is well known for watersports like sailing, diving, swimming & surfing. This area is home of O'Neill Wetsuits, Santa Cruz Surfboards & Santa Cruz Bicycles. 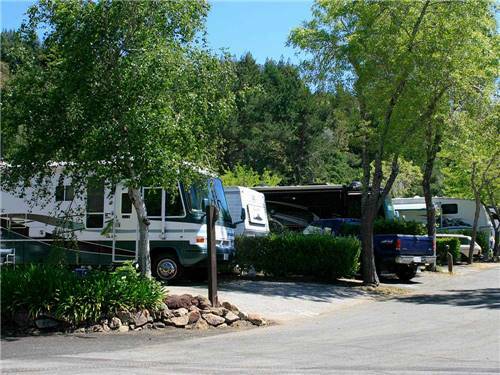 This 66-acre campground is the perfect home base for touring the Central Coast! More than 20 wineries & vineyards nearby. 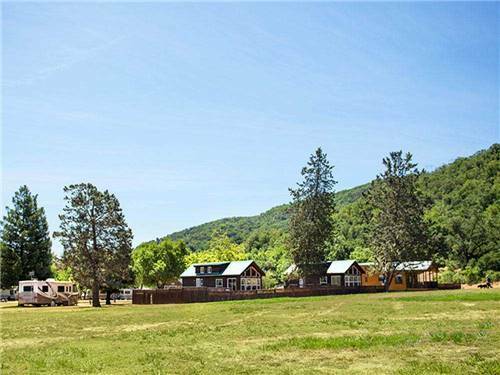 Scenic views from Uvas Creek; hiking trails & fishing areas. See what brings visitors back every year! 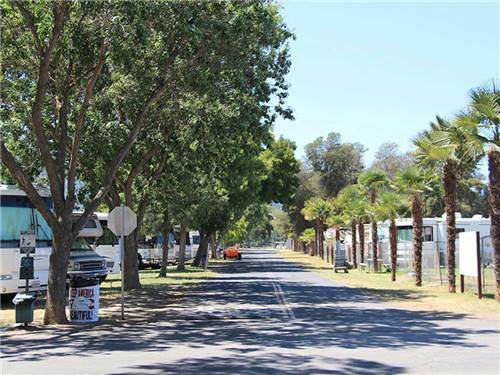 Discover Pleasanton's park-like Fairgrounds and charming downtown in the heart of the beautiful Tri-Valley wine country. Enjoy great weather, shopping, dining, wine tasting and golf. Affordable and convenient to all Bay area.